Yawn. 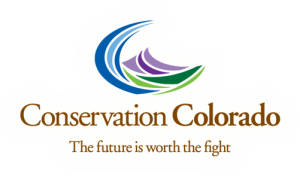 Conservation Colorado, a clearinghouse for radical environmental advocacy, has pledged $3.2 million to defeat Walker Stapleton and to elect pro-conservation (read: Democrat) candidates. We’re yawning because we’ve heard big promises from greenies before and the green groups have come up short. Take for example the 2014 midterms and Tom Steyer’s NextGen Climate Action, which spent $74 million in to support former Democratic Senator Mark Udall and whoever the challenger to Republican Senator Joni Ernst of Iowa was (besides a footnote on the page of history). As you may recall, PeakNation, Sen. Cory Gardner defeated Udall that year and we can’t even remember the name of the Ernst challenger. Plus, $3.2 million is no $74 million and Colorado is on fire politically this year and $3.2 million just doesn’t go as far as it usually does.